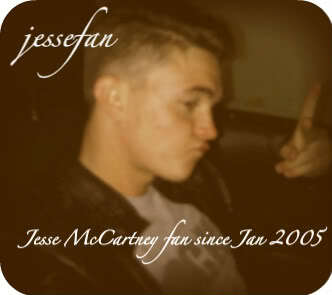 I love Jesse McCartney's Departure: Recharged Album sooooo much!!! I love all the songs!!! I listen to it almost everyday!!!! My favorite songs is Oxygen and Told You So!!!! His voice gives me goosebumps!!! A voice of angel from heaven!!! It's a great album!!! Do you have Departure too? Yes! I do! His voice is heaven to my ears! Quida411 wrote: Yes! I do! His voice is heaven to my ears!